Our wines come from tough soils, from men who have the talent of listening to nature and an heart filled with long experience and great passion. With this commitment we want to be good ambassadors of the territory and of the production of Italian wine. Paladin Wineries are located between Veneto and Friuli, where the two regional cultures melted together. 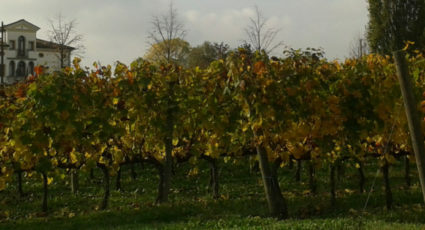 The vineyards were planted here, along the ancient Roman Postumia road, on the calcareous clays formed during the last glaciation by the Tagliamento river, resorting to the most modern viticultural techniques. The history of the winery started in 1962 with Valentino Paladin and has developed thanks to the energies lavished by his children Carlo, Lucia and Roberto, carrying out the task of putting years of happy and fruitful experiences in the field to good use. In 1977 Paladin family purchased the first vineyards in Annone Veneto, in a territory known for the production of high-quality grapes and founded the Bosco del Merlo, name present on the topographical maps in memory of the oak woods which used to cover the area. 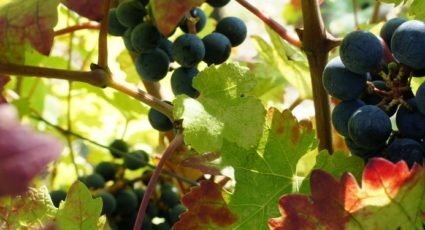 The old vineyards were gradually substituted by plants of modern conception, thanks to a profitable collaboration with the Istituto Sperimentale per la Viticoltura in Conegliano. In 1985 a new and modern winery was built in Annone Veneto, close to the Bosco del Merlo estate. Together with the development of the winery facilities, the number of collaborators has also increased. 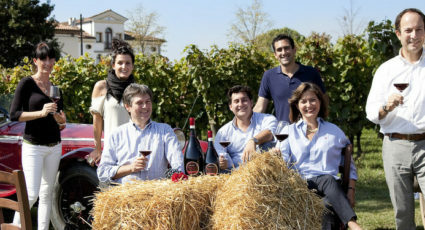 This well-qualified and committed staff is taking part in the winery projects with great enthusiasm. At the end of the ’90s, the family purchased a further 50 hectares of land in Lison di Portogruaro, which is the heart of this wine area. Today, Bosco del Merlo estate is made up of 100 hectares. The beginning of the new millennium marked other important moments in the history of the winery. In spring 2001 the new headquarters were officially opened: a beautiful villa, built in the Palladian style hosting the head office, the trade and administrative departments. Here the ageing cellars and the tasting rooms create a fascinating atmosphere. Such a devotion has been well rewarded. The wines which participate in the most important international enological competitions are every year recognized with awards, and the Paladin and Bosco del Merlo wines add a touch of class and charm to the best restaurants and wine shops.